Cropped, boxy and ideal for layering over your favorite leotard/legging combo. 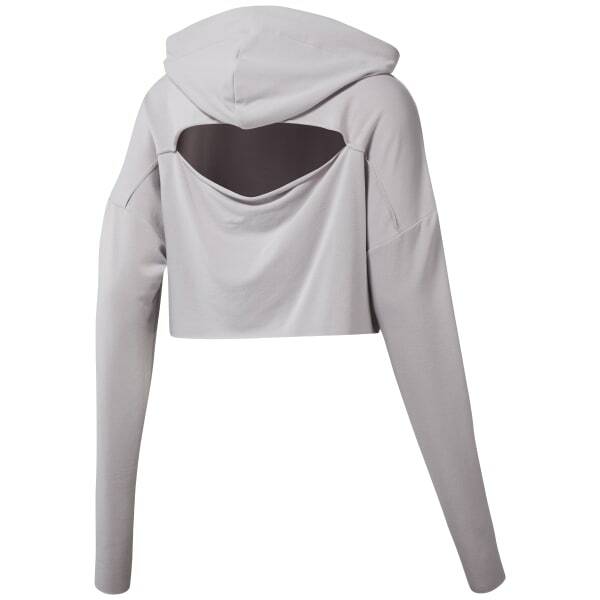 This dance-savvy hoodie is designed with an oversized silhouette, extra-long sleeves and dropped shoulders for slouchy-cool wear. Raw-edge hem and cuffs lend an extra lived-in, cozy vibe; while the open slit back provides much-needed ventilation after a sweaty studio session.